Quoted from an old news clipping from Molly Weston, March, 2009, source unknown. 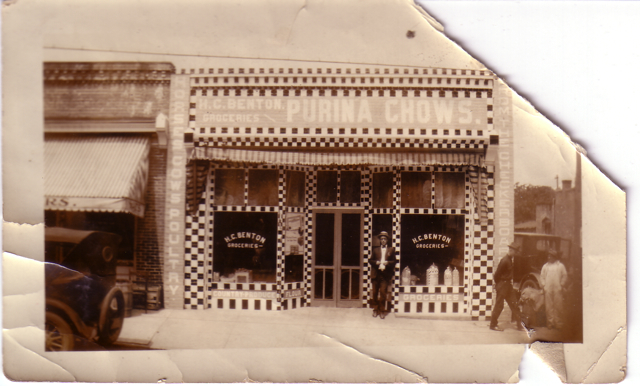 One of the leading grocery stores and meat markets in Apex is H. C. Benton's store. Mr. Benton carries a large stock of fresh groceries, canned goods, fruits and vegetables, and fresh meats. The fresh meat department at Benton's is modern, with up-to-the-minute refridgeration, hot and cold running water, and modern machinery and equipment. At this store you find stocked the best in native and western beef, pork, and lamb, and first-class seafoods. 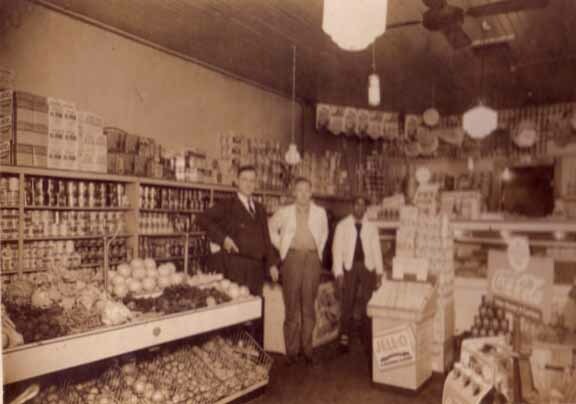 Mr. Benton opened his store in Apex in August 1918, moving here from Cary where he had successfully operated a grocery business for four years. He moved to Cary from Cheraw, S. C., in 1909, and attended Cary High School, and Wake Forest College. He is a son of the late Mr. and Mrs. James W. Benton, who were natives of Anson County, N. C. He has three brothers and two sisters: Professor Randolph Benton, County Superintendent of Public Instruction; Burtis Benton, engaged in bank work in Raleigh and W. L. Benton, who holds a government position; Mrs. Bessie Braswell and Mrs. T. H. Banks of Apex. His friends refer to him as "Howard" Benton, and he has a lot of friends, and he is always ready to do something for the betterment of Apex and community. Visit his store - you'll like the courteous treatment accorded everyone.